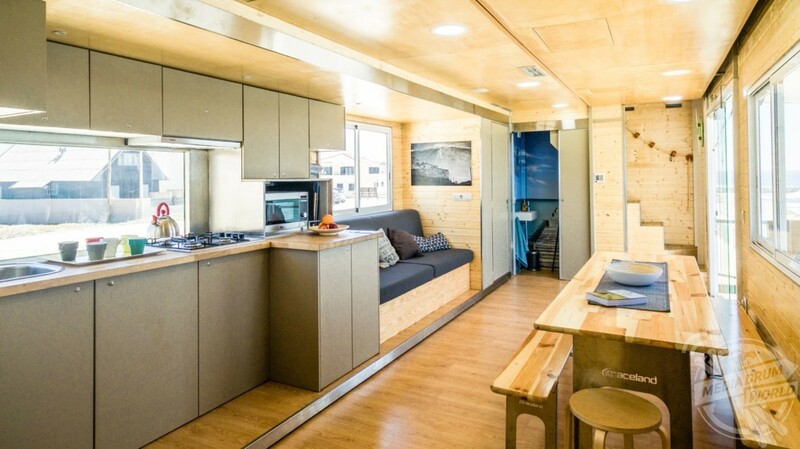 THIS EXPANDING hotel on wheels is the ultimate beach holiday getaway from just £437 a week. 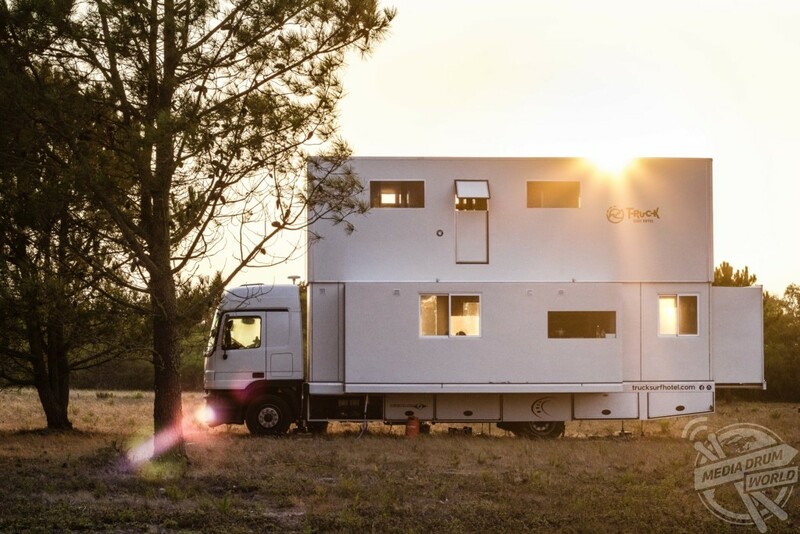 Incredible images show the Truck Surf Hotel with a large common area and bed rooms flooded by natural light. 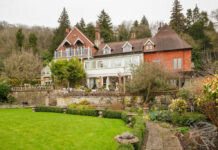 Video footage shows guests enjoying the hotel’s facilities while the one storey Mercedes Benz Actros truck expanded in a double storey structure while stopped. The hotel on wheels has an innovative hydraulic system that enables the walls and ceiling to expand upwards and outwards once parked. 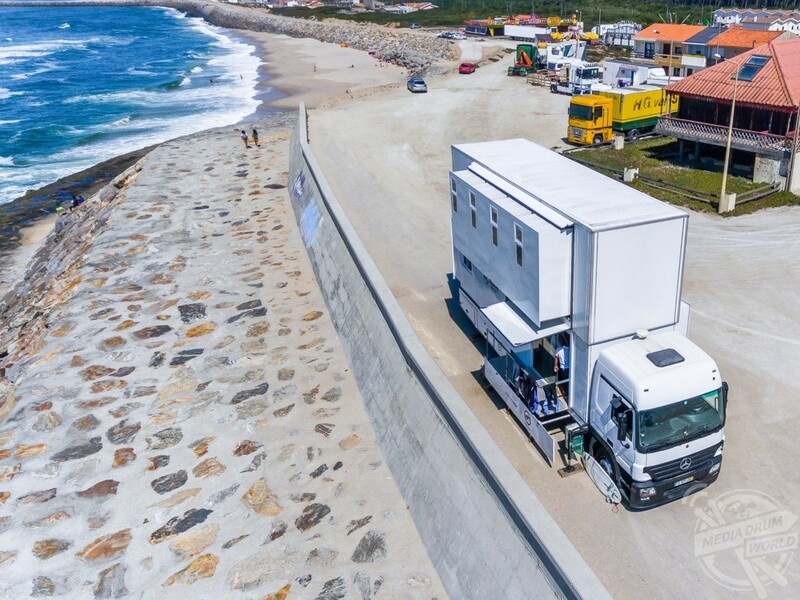 This ingenious truck hotel is the brainchild of Portuguese surfers Daniela Carneiro, formerly an environmental engineer and surf photographer, and Eduardo Ribeiro, an award-winning surfer from Espinho and surf coach. 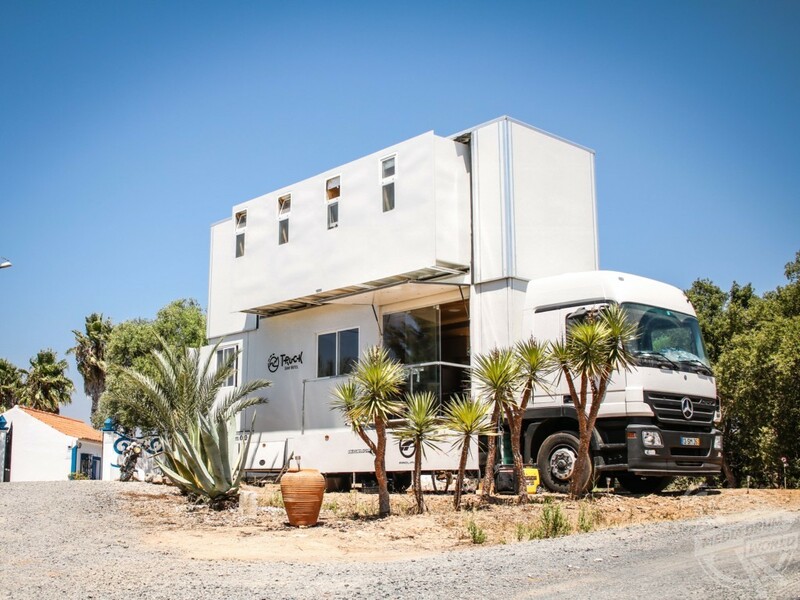 Together with a company that specializes on Mobile homes, they transformed the heavy-duty Mercedes truck into a double storey mobile hotel that they live in full-time while driving their guests around Portugal and Morocco. 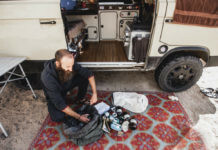 “We have been travelling for many years in a camper van through Europe and Africa, exploring different cultures, surf spots, making new friends, with the freedom to live each adventure as one,” said Daniela and Eduardo. 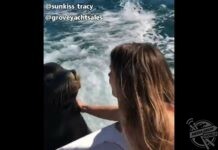 “We wanted to create something different to share this lifestyle and offer people the flexibility to travel with comfort and the best outdoor experiences. 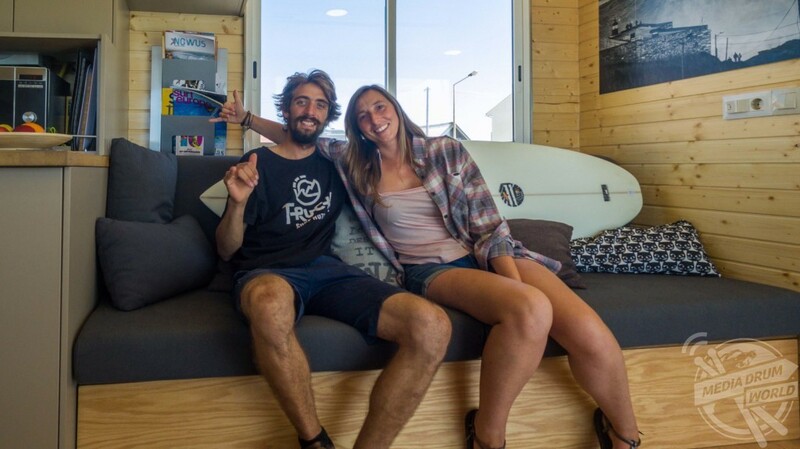 “So, we created the Truck Surf Hotel that gives the opportunity to explore uncrowded surf spots with the best waves, different natural parks and mountains, live different cultures with a luxurious hotel on wheels that goes everywhere. 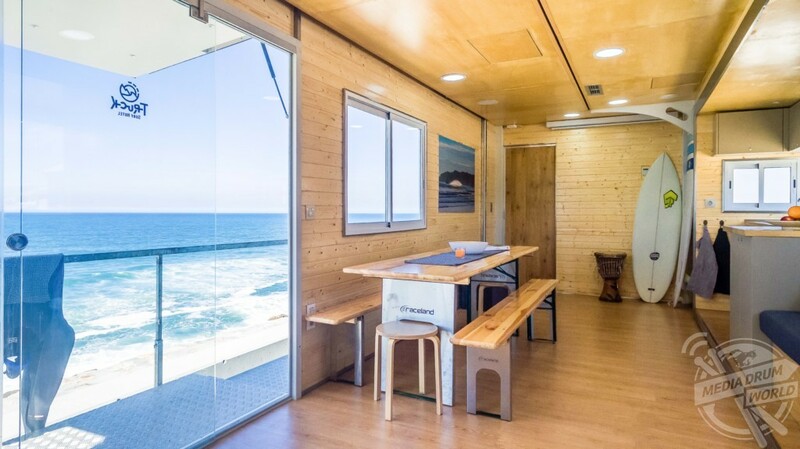 The Truck Surf Hotel operates from June to October in Portugal with weekly tours beginning every Saturday on the south-west coast between Sines and Lagos. During the winter season the hotel travels to Morocco where it does surf and adventure trips between Agadir and Essaouira. Prices for the hotel vary but the cheapest price available during the high season in Portgual is £588 per person for a shared double room while price in Morocco start at £437. Prices do include breakfast, transportation, surf sessions and equipment as well as accommodation. The living space on the first floor has a kitchen, social room, and bathroom with shower. 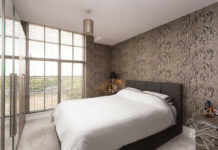 On the upper floor, there are five bedrooms – four shared double rooms with bunk beds, and one private double room.